An account by Luciano Andriamaro, CI Madagascar,on the p4ges project launch. 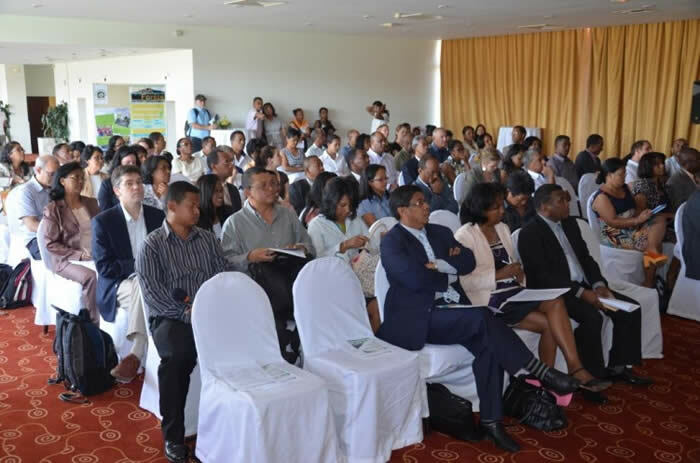 The 8th November 2013 was a very significant day as it marked the launch of the p4ges project in Madagascar. The term ecosystem services is of interest to more and more people and could explain why so many people responded to our invitation to this event. Some came to further their knowledge of the topic while for others it was a chance to find out what it is all about. Initially we planned cautiously as we were not expecting a hundred or so guests to the launch. However as the day approached we planned for a more lavish affair, joined by officials and the press who were excited by a story which was about reducing poverty. We had created a nice brochure designed to reveal all about the project to the attendees on 'D-day'. Leading up to this date, we had made contact with the departments affected by the project such as the General Secretary of the Ministry of Forests, the Director General of Higher Education and Scientific Research (DG), as well as the British ambassador to Madagascar. By honouring us with their presence these officials showed how the project connects to their functions. As the project is linked to the environment and forestry, the DG emphasised how serious alternatives to an efficient strategy for sustainable utilisation of our forest resources are so important. The DG called on other institutions to take an interest in this project and cooperate with it. 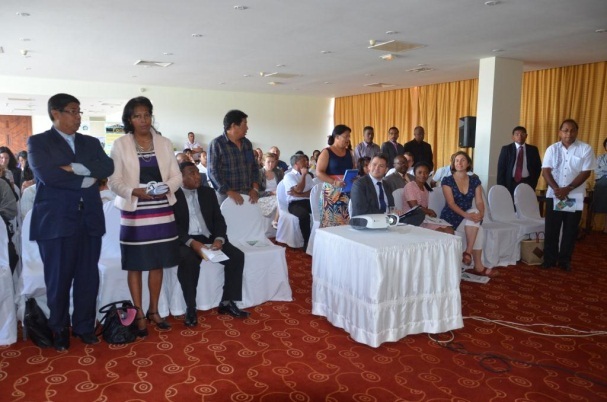 The British ambassador reminded all that the p4ges project is funded by the British government which is concerned about managed sustainability of natural resources in Madagascar. 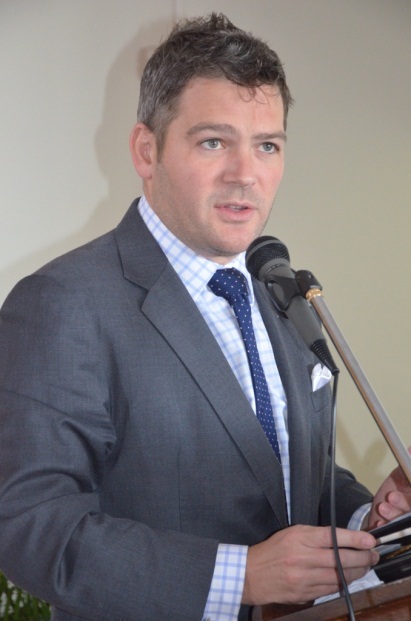 The British government always shows it is willing to contribute to activity concerned with sustainable development. P4ges or «Can paying 4 global ecosystems services reduce poverty? » is a project with ten partners in four different countries. Malagasy and non-Malagasy members of the team were present. After a brief introduction by Prof Bruno Ramamonjisoa it was a surprise to all to see and hear the leader of the project, Dr Julia Jones from Bangor University, talk about ecosystems services in fluent Malagasy! Then Julie Razafimanahaka brought together the different work packages, explained how they were connected and who was involved in each. Those invited to the launch then had the chance to ask questions and make suggestions as well as share their views. We ran out of time as there was so much interest, and team members responded to all the questions. Then the ten members of the Consultative committee were introduced. In short, the p4ges project was launched in grand style with a hundred delegates, some of whom turned up on spec, interested by the subject matter. The project is a promising one, even though the outcomes are yet to be seen. As work gets started, please check our website regularly, as well as our twitter account. A big thanks to the officials, those present and everyone who contributed to the success of this event. Oh, and a huge ‘merci’ to ESPA, who have funded the project.